Cucumber (Cucumis sativus) is a widely cultivated plant in the gourd family, Cucurbitaceae. The cucumber is a creeping vine that roots in the ground and grows up trellises or other supporting frames, wrapping around supports with thin, spiraling tendrils. Cucumbers need warm, fertile soil with a pH of 6.0 to 6.8. Work compost or composted manure into soil. Plant seedlings 12 inches apart when growing vertically. If vines bloom but don’t fruit, something is probably interfering with pollination. First, make sure that you see both male and female blooms. Male blooms usually appear first and then drop off, so don’t be alarmed if this happens. Within a week or two, female flowers will also appear; each one has a small cucumber-shaped swelling at the base that will become a cucumber. If you’re still not seeing those swellings turn into fruit, you may need to hand pollinate using an artist's brush. 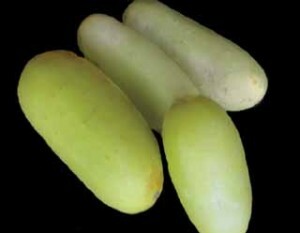 We carry several kinds of Indian cucumbers. In Hindi cucumbers are called kakdi or kheera. A variety of kheera comes from the city of Pune, thus the name Puneri or Poona Kheera. 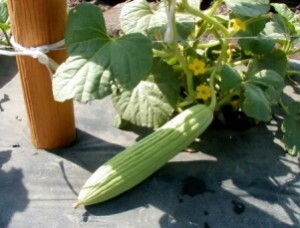 Another popular type of cuke is a cooking variety called Dosakai. 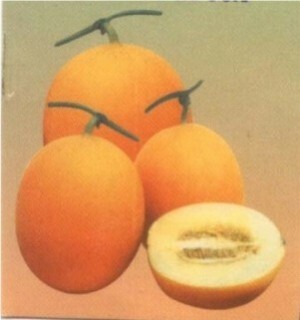 It is a yellow/orange cucumber popular in Andhra Pradesh. 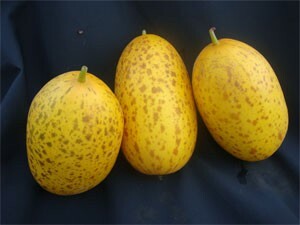 These fruits are generally spherical in shape. It is commonly cooked as curry, added in sambar or soup, dal and also in making Indian pickle and chutney. 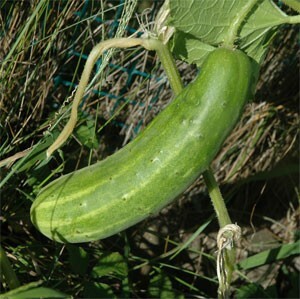 A Long green variety of cucumber with crisp, firm flesh. Prolific yielder bearing 6 to 8 in fruits. Approx. 30 seeds / packet.